There are a few things you might see differently after having read The Portable Veblen—squirrels, marriage, clinical trials, mental health, consumerism, Thorstein Veblen. What I’m trying to say – this is a novel that’s as quirky as it is serious. But the best of all: the voice is stunning and as witty as it is clever. Looking at some of the topics this novel explores—dsyfunctional families, PTSD, pharmaceutical companies, mental illness— one wouldn’t think it would be funny, but it is. I really loved this book and it’s main narrator Veblen Amundsen-Hovda. Veblen, named after Thorstein Veblen, author of The Theory of the Leisure Class, is a self-declared “cheerer-upper” with a narcissistic, hypochondriac and controlling mother. Veblen is obsessed with squirrels, translates from the Norwegian in her free time and is highly suspicious of everything that whiffs of consumerism. Veblen espoused the Veblenian opinion that wanting a big house full of cheaply produced versions of so-called luxury items was the greatest soul-sucking trap of modern civilization, and that these copycat mansions away from the heart and soul of a city had ensnared their overmortgaged owners – yes, trapped and relocated them like pests. She’s engaged to Paul, a neurologist who works for a shady pharmaceutical company and gives her the most ridiculously huge engagement ring. All of her life, Veblen has been crushed by her mother. Her dad is in a mental institution and her step-dad always takes her mother’s side. Nonetheless, her mother and her mother’s opinion are important. So far, neither Veblen nor Paul have met their respective parents. Both are wary of a meeting. Veblen because she’s afraid of what crushing things her mother might say about the engagement and her fiancé, and Paul because he’s ashamed of his parents, hippies who were anything but good parents. She had an internal clock set to her mother’s hunger for news, but sometimes it felt good to ignore it. Then she went back inside and grabbed the phone to spring the news on her mother. Nothing being fully real until such springing. And nothing with her mother ever simple and straightforward either, and that was the thrill of it. A perverse infantile thrill necessary to life. It bothered Veblen’s mother that most people were lazy and had given up original thought a long time ago, stealing stale phrases from the media like magpies. The main question at the heart of the story is: should anyone get married, especially when coming from a dysfunctional family? 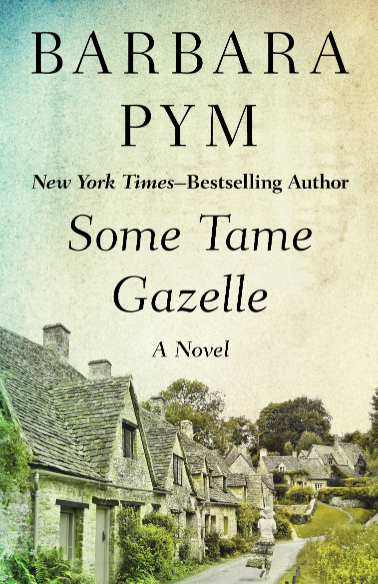 It takes Veblen a long time to make up her mind – the whole novel – and most of it involves hilarious scenes. Her mother is one of those parents that, while toxic, still has a lot going for her. I loved all the scenes that involved her. I equally enjoyed the passages in which we see Veblen on her own. Some of the chapters are told from Paul’s POV and those weren’t my favourites. He’s not a character that could stand on his own, he always needs to clash with another one to be interesting. This might be one of the wittiest books I’ve read in a long time. But it’s also charming and profound. I’ve seen a few people comment that they found the book confusing. I didn’t. Most of the crazy moments are due to Veblen’s attempts at staying sane. Dissociation and escape into a fantasy world in which squirrels communicate with her, are coping mechanisms. As cheerful as Veblen seems, she is someone who has been crushed and whose lack of self-confidence is painful. That a lot of her composure comes from taking medication, is equally tragic. It may sound paradoxical, but given her upbringing, she’s doing well. 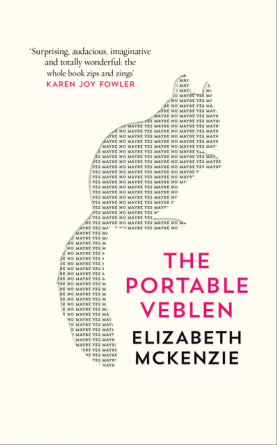 As I said, I enjoyed The Portable Veblen a great deal. It’s s such a clever book. I wasn’t surprised to find it on the short list for the 2016 Bailey’s Prize for Fiction. I’ve seen good reviews of this one – and I do like squirrels – so it might be one I should track down! It’s such a clever and witty book and the idea of the squirrels is charming. I’d love to hear what you think of it. I thought it was well done. I only wonder how much I’ll remember in a few months as I tend to forget books that aren’t atmospherical. The voice does sound good. Your review made me think of the work of film-makers/writers like Miranda July and Lena Dunham. Is McKenzie in a similar territory or am I way off the mark there? I don’t know them well enough to compare. Maybe July and Dunham are a bit edgier. I don’t think Veblen is ‘cool’ in same way Dunham and July and their characters are. Veblen is dedicated to the simple life, she is not surrounded by a clique of friends they way they are, and on top of that makes her own clothes rather badly. Like you I enjoyed the book but found it strange that some reviewers preferred the character of Paul to Veblen. Thanks for your comment, Gert. Interesting to know these differences. I had no idea some people preferred Paul. Now that’s a surprise. Hmmm. I’d say she and I disagree on that. This is the first review that really has me itching to read this book! I hope you’ll like it, should you read it. Let me know. I’d not heard of this Caroline, but I think I’d really enjoy it. I think you would. It has the type of family scenes I know you enjoy. Wonderful review, Caroline. Veblen’s mom looks like a fascinating character, though she doesn’t seem to be good to Veblen. I loved her comment about people being lazy and giving up original thought. So nice to know that it is on the Bailey’s shortlist. Thanks, Vishy. Veblen’s mother is a great character. 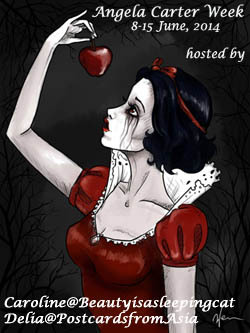 Horrible mother but interesting fir a reader. It sounds as if all sorts of interesting ideas are contained in this book. Your commentary is making me think of someone I knew who was obsessed with squirrels. She did some good things as she would rescue injured and orphaned ones. But she would talk of little else and tend to somehow turn every topic of conversations back to squirrels. Thanks,Brian. How interesting that you knew a squirrel aficionado. They are lovely animals. Ours, here in continental Europe, are very different from those in the US and the UK btw. Great review, Caroline–this sounds like something I’d really like. Loved the line about the coffeemaker. Thanks, Carole. I think you would like it. It’s a great line, isn’t it? There are so many quotable passages in this book. The covers is wonderful. When you hold it in your hand, it’s even better. You’ll see. I think there’s another cover around which isn’t as great.